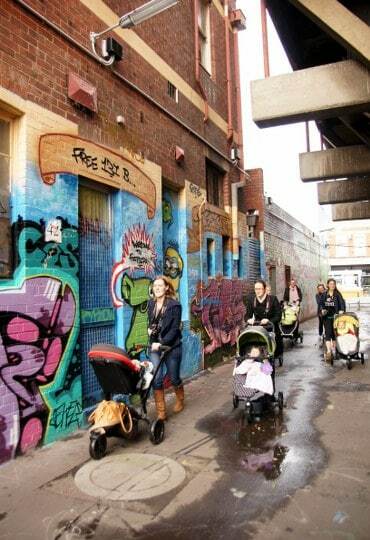 Every 3 months Maribyrnong City Council hold free ‘Westside Discovery Tours’ where locals and visitors can discover the hidden secrets of Melbourne’s inner west. 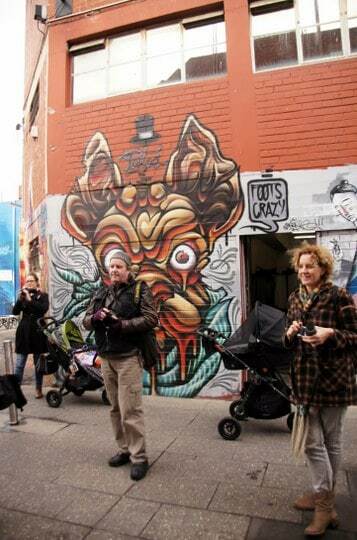 One of the sold out tours that I attended was the ‘Bring Your Bub’ Photography Tour of Footscray which was held in conjunction with Culture Mamas. 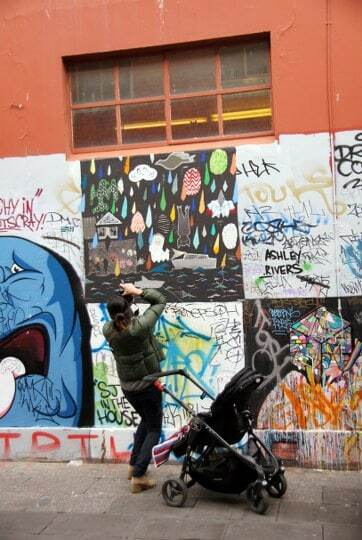 Photographer Terry Murphy led 8 mums and bubs on a relaxed 1.5 hour baby and pram-friendly walk around Footscray CBD. I discovered unexpected pockets of the area and most importantly some basic techniques to get the best out of my camera. The tour started with a windswept 360 degree panorama of Footscray and its surrounds from the rooftop carpark of Footscray Market. Here we learnt about the aspects to consider when taking a picture – composition, lighting and colour. As most of us were guilty of shooting in auto all the time Terry took us through how to use the aperture function instead. We learnt about using different aperture settings, how to apply the correct white balance setting depending on the light conditions (shady, sunny, cloudy etc), how do adjust our ISO and making sure that images were processed in large fine jpg. With those basics in mind we practised shooting a panorama image and some portraits of mums and bubs with Footscray in the background. 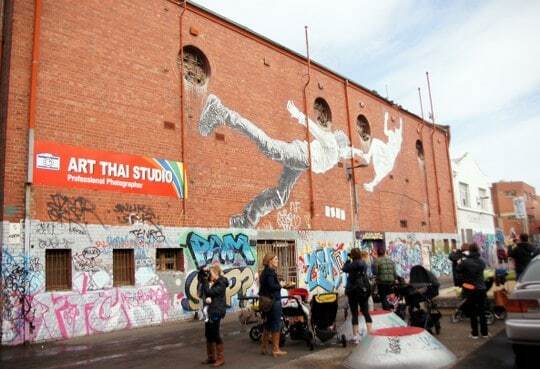 Next up was a stop in a graffitied laneway in Footscray CBD with a massive paste-up by local street artist Baby Guerilla and other vibrant artworks which made a colourful backdrop for more portraits. After a brief stroll through Little Saigon and Hopkins Street, the main street in Footscray CBD, we stopped to discuss the best tips for shooting portraits. Turns out you will get better proportions and less distortion if you step back and use a long zoom rather than getting in close and using a short zoom. And always shoot from above or eye level. 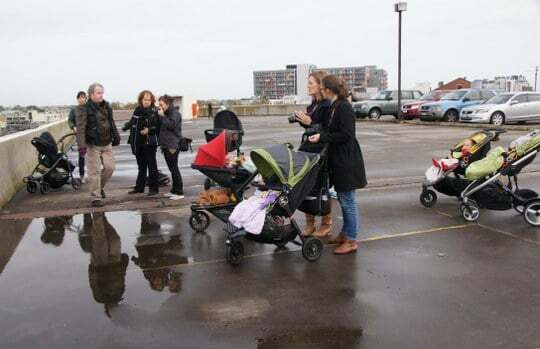 It was a shame that we’d run out of time to visit Footscray Park to learn more about shooting scenery and landscapes but it’s likely that there will be more photography tours with Culture Mamas in future. To stay in the loop check out their website. Other free Westside Discovery Tours are running this week, from an arts crawl, historical walks and food tours (sold out but get on the waiting list). Check out the Maribyrnong City Council website for more info and mark your diaries to book a spot on the September tours. Read my review of a previous Westside Discovery Tour ‘Vietnam on a Plate’.